Many congratulations to the winners and finalists of the 2019 FIRM Awards sponsored by eArcu. Competition has been fierce and the quality of entries stronger than ever. 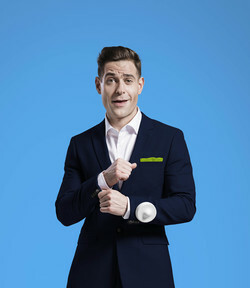 Simon Brodkin announced as FIRM Awards Host! We are delighted to announce that the shortlist for The FIRM Awards 2019 is now available! eArcu announced as headline sponsor for the 2019 FIRM Awards! We are delighted to announce that eArcu are the headline sponsor for the 2019 FIRM Awards. Winners 2018: how did they do it? What makes a good FIRM Awards entry? Find out with our showacse of the 2018 winners - what did they do to impress our judges? Revealed: the categories for the 2019 FIRM Awards!